PAR Training and Props is willing partner with any and all training groups, F.O.O.L.S. Organizations, and Departments that want to better their skill set as a firefighter! Take the opportunity to provide a Forcible Entry Prop and training to a department that may not be able to otherwise. 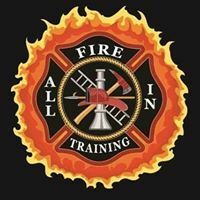 By sponsoring a Prop Kit you will be providing a Department and or Training group an affordable and practical option to train their firefighters in the art of Forcible Entry.